What do you want your mortgage to accomplish? That’s the first question you should ask yourself when taking out or refinancing a mortgage. Are you most concerned with saving money overall? Minimizing your interest expense? Securing the lowest possible monthly payment? Some buyers may want to maximize their equity in their home, while others may want to be debt-free by a certain age. Your objectives will shape how you should approach a mortgage. Beyond your goals, think about your circumstances. Your stage in life, your family situation, and the other assets available to you may all affect your decision. For first-time homebuyers, often in their late 20s to mid-30s, the main goal is to finance the purchase of a home. They must determine how much of a down payment and the monthly payments they can afford. A few years ago, you usually had to make a down payment of 20% or more. These days, lenders have relaxed that standard. That’s good news for people who want to take advantage of low interest rates because there are reasonable housing prices in many markets right now. The Federal Housing Administration (FHA) offers insured loans to buyers who can only afford very small down payments, sometimes as little as 3.5%. 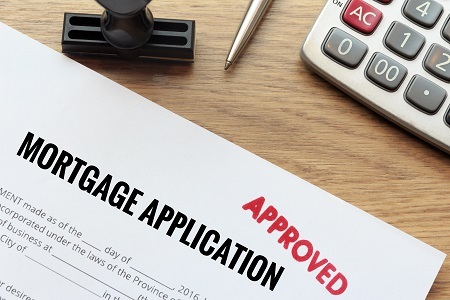 Borrowers must also meet other FHA criteria to qualify and should expect more paperwork and a higher interest rate than those of a traditional mortgage. You can apply for an FHA mortgage through your lender. When the down payment is under 20%, the lender usually requires private mortgage insurance, which increases monthly payments. Consider a ‘piggyback’ mortgage, which lets you take out a second mortgage to cover part of the down payment. These arrangements avoid PMI, but typically involve higher interest rates than single mortgages. Adjustable-rate mortgages offer relatively low interest rates for a fixed term, often five or 10 years, after which the rate becomes variable. These mortgages are especially attractive to buyers who plan to sell their homes before the term ends. When rates are high, an adjustable mortgage may be a good deal even if you plan to keep your home a long time. Not now! Rates are likely to be higher, possibly much higher, five to 10 years from now. For many people, a traditional 30-year fixed-rate mortgage remains the best choice. If you are buying your forever home, this gives you the advantage of locking in a reasonable rate virtually for life. The major downside is that you will pay the most interest over the life of the loan because of its long term. For those interested in obtaining home equity more rapidly, a 20- or 15-year fixed-rate mortgage may be attractive. But a shorter term means significantly higher monthly mortgage payments, even if the rate is lower. You’ll also have less liquidity. Paying points on the mortgage at closing will give you a lower interest rate and a lower monthly payment. Most homebuyers should avoid it. If you pay interest upfront, it becomes a sunk cost that you cannot recover if you sell your home before the end of the mortgage term. Shun an interest-only mortgage. These loans almost always involve taking on too much risk. You build no equity at the beginning of the loan, so a decline in the property’s value can become a disaster. Avoid loans structured so that the borrower owes a large lump sum at the end of the mortgage, often called a balloon payment. By the time homeowners reach their late 30s or 40s, it is likely that their earning power has increased. Many could pay their mortgages down faster than required. But it’s not necessarily a good idea. First, make sure your mortgage has no prepayment penalties – most don’t. But even without penalties, many people would be better off investing their extra cash in a diversified portfolio, particularly in a tax-advantaged account such as 401(k) plan, Roth IRA, or 529 college savings plan. If the expected rate of investment return is higher than the mortgage interest, including the benefit of deducting that interest, you benefit from leverage. But a very conservative investor who is averse to debt may find paying off his or her mortgage is the right choice. If the alternative is sticking your money in a money-market or savings account, you’re better off paying up early. For people who can’t control their spending, making extra mortgage payments is a form of forced savings. If you haven’t refinanced your mortgage within the past seven years, do so as soon as possible before rates start to rise. If you’re refinancing a 30-year mortgage you’ve held 20 years, for instance, you’ll probably want to refinance with a 10-year fixed-rate mortgage. A home equity loan (second mortgage) or a home equity line of credit (HELOC) can be a good tool if you’re disciplined, dangerous if you’re not. It can be tempting to view a home like a personal ATM, but if the home’s value suddenly falls, it can be a bad situation. Eric Meermann, Certified Financial Planner (CFP®) and portfolio manager with Palisades Hudson Financial Group, is based in the firm’s Scarsdale, New York, office. He is a contributor to the book, “Looking Ahead: Life, Family, Wealth and Business After 55” available on Amazon. Palisades Hudson Financial Group is a fee-only financial planning firm and investment manager based in Scarsdale, N.Y., with more than $1.1 billion under management. It offers financial planning, wealth management, financial management and tax services. Branch offices are in Atlanta; Austin, Texas; Fort Lauderdale, Florida, and Portland, Oregon. Read Palisades Hudson’s daily column on personal finance, economics and other topics at http://palisadeshudson.com/insights/current-commentary. Twitter: @palisadeshudson.